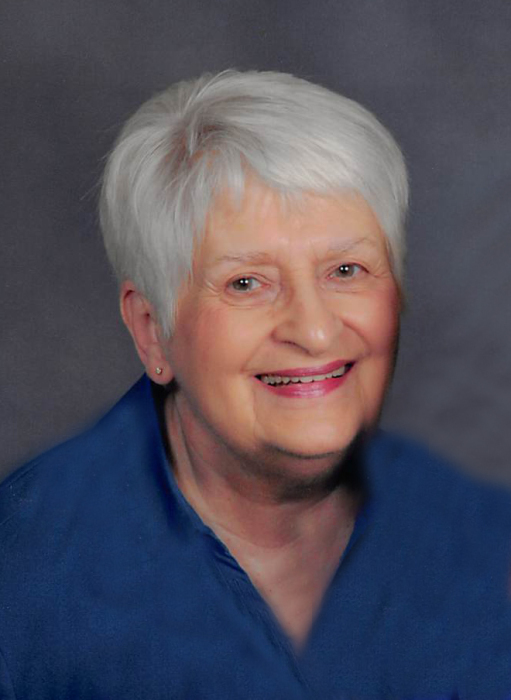 Suzanne Lee Schwarck, 84, of Ashby, died Thursday, February 7, 2019, at Mary Murphy House in Clitherall. Suzanne was born on July 17, 1934 at Harper Hospital in Detroit, Michigan. She was the daughter of Wayne Kenneth and Helen Margaret (Flots) Shontz. She attended school in Detroit and graduated from high school there. After receiving her education, Suzanne worked for a subsidiary of Michigan Bell Telephone Company, where she was a repair technician. On June 15, 1984, she married Marvin Wayne Schwarck at the United Methodist Church in South Lyon, Michigan. The ceremony was officiated by Suzanne’s brother, Pastor Wayne Shontz. In 1986, Suzanne and Marvin moved to Ashby, Minnesota, where they resided on Sewell Lake, until moving into Ashby in 2006. Suzanne was a member of Kvam Free Lutheran Church, where she especially enjoyed bible study. She was an avid reader and appreciated the beauty of Minnesota. She is survived by her husband, Marvin of Ashby; son, Richard (Julie) Wright of Batavia, New York; four grandchildren, James, Kirsten, Cameron, and Justin Wright; a sister-in-law, Susan Shontz of Pennsylvania; Marvin’s three children, Donald (Sue) Schwarck of Florida and Michigan, Karen (Mark) Shimp of Florida, and Linda (Tom) Holton of Michigan; Marvin’s grandchildren, Matt and Paul (Kelly) Schwarck, Kasey (Bryan) Fox, and Thomas Holton III; numerous nieces, nephews, and cousins. In addition to her parents, she was preceded in death by her first husband, James Wright; daughter, Deanna; grandsons, Drew Wright and Shane Holton; sisters, Edith (Ed) and Nancy (Chuck); brother, Wayne; and her twin sister, Frances. Visitation: 5 – 6:30 PM Sunday, at Glende-Nilson Funeral Home, Ashby, and one hour prior to services at the church. Funeral Service: 11 AM Monday, February 11, 2019, at Kvam Free Lutheran Church, rural Dalton. Memorials: In lieu of flowers donations may be sent to Kvam Church.